Platinum based Gas Diffusion Electrodes (GDE) are the standard electrodes used for Hydrogen / Air Fuel Cells (PEMFC), Direct Methanol Fuel Cells (DMFC), Microbial Fuel Cells (MFC), and many more applications. The Platinum base is generally applied to a Gas Diffusion Layer (GDL) that has a Micro-Porous Layer (MPL) and Teflon (PTFE) treatment. Low Loading Electrodes (e.g. 0.03mg/cm², 0.3mg/cm², etc.) are designed for cost sensitive applications and are suitable for electrochemical systems needing low amounts of Platinum to support the reaction. High Loading Electrodes (e.g. 2.0mg/cm², 4.0mg/cm², etc.) 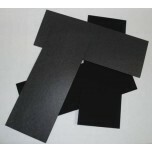 are designed for high performance and are typically used in applications where performance and efficiency are critical. A low-cost electrode utilizing a carbon fiber paper substrate and a 20% Platinum on Vulcan Carbon..
A low-cost electrode utilizing a woven carbon cloth substrate and a 40% Platinum on Vulcan Carbon..
A low-cost electrode utilizing a carbon fiber paper substrate and a 40% Platinum on Vulcan Carbon.. The standard low-cost electrode utilizing a woven carbon cloth substrate and a 60% Platinum on Vu.. The standard low-cost electrode utilizing a carbon fiber paper substrate and a 60% Platinum on Vu.. The most cost effective, higher catalyst loading Gas Diffusion Electrode. At 2.0 mg/cm² of .. 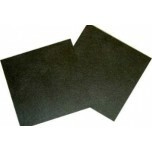 This 4.0mg/cm² Platinum on Carbon Cloth electrode is a high performance, high platinum loading Ga.. 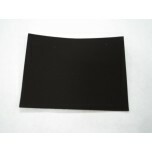 This 4.0mg/cm² Platinum on Carbon Paper electrode is a high performance, high platinum loading Ga.. The Gas Diffusion Electrode Variety Kit (also known as the GDE Kit) comes with a variety of 5 dif..